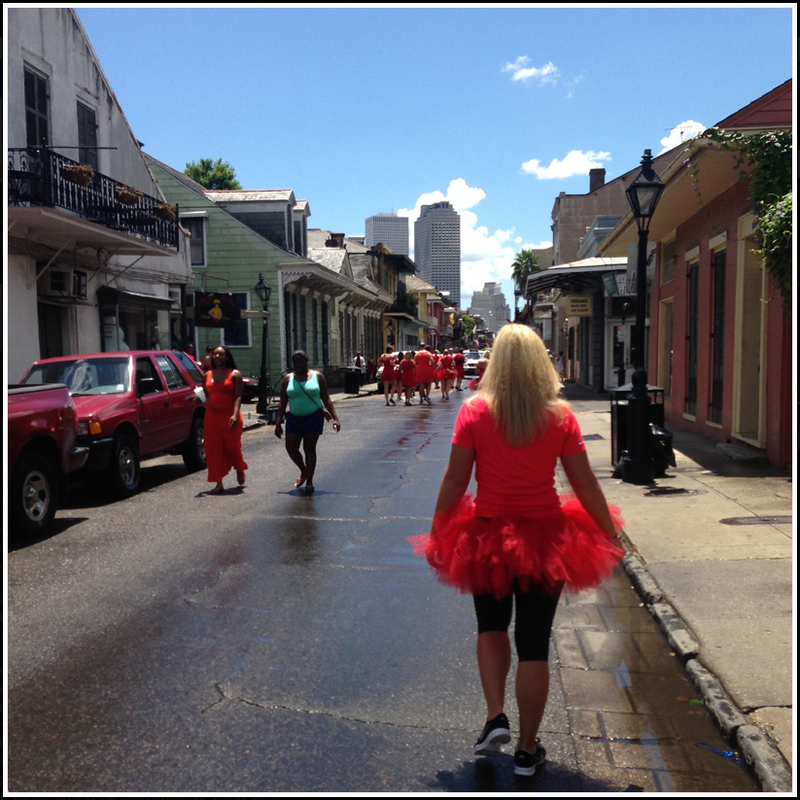 I'm told that I was at the Red Dress Run Saturday morning in downtown New Orleans. I have no proof of that being the truth, aside from a passenger's residual red glitter in my car. 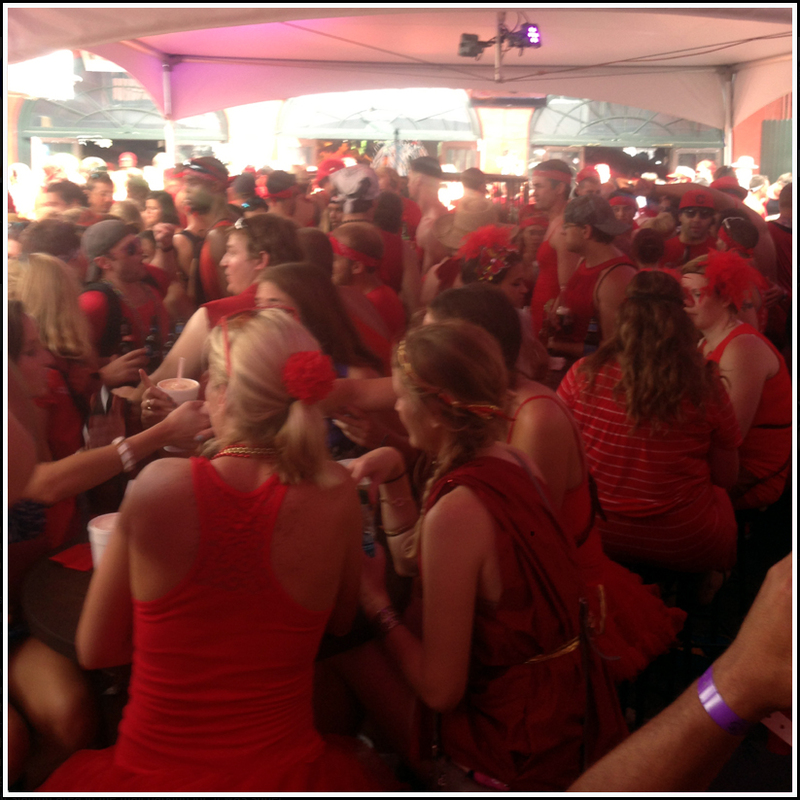 No, I wasn't inebriated to the point of blacking out the events of the day. Quite the contrary. I just saw no proof that an actual run occurred. I joke, of course. 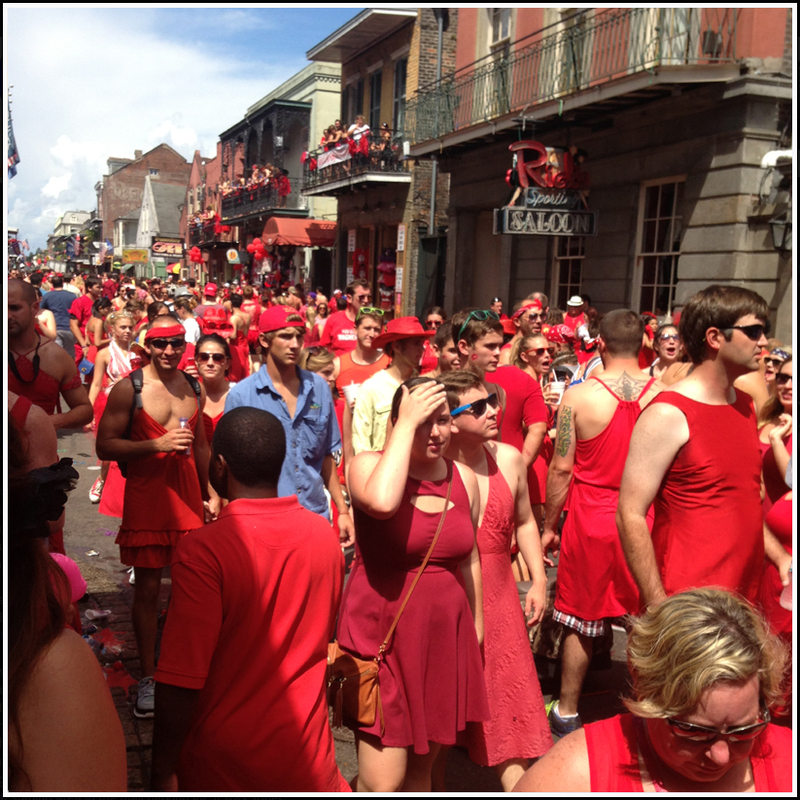 The Red Dress Run is an annual event that draws thousands to the French Quarter for a day of reveling in rouge. The party kicks off early, with a 2 mile run starting around 11am followed by live music and free flowing alcohol that's all-inclusive in a somewhat steep registration fee. 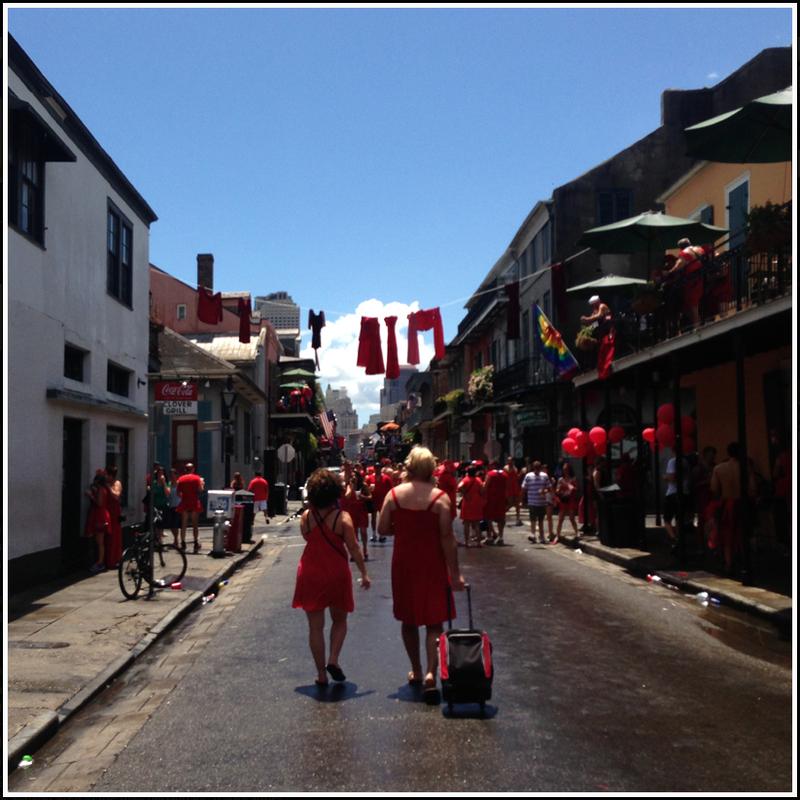 The proceeds from the event go to a slough of worthwhile New Orleans charities and the size of the event has swollen every year in spite of the $65 price tag. There are photos on Facebook (check them out HERE) that prove that the run happened, although I didn't see a single person sprinting in a dress. I woke up Saturday morning and went for a run with a friend in Audubon Park. 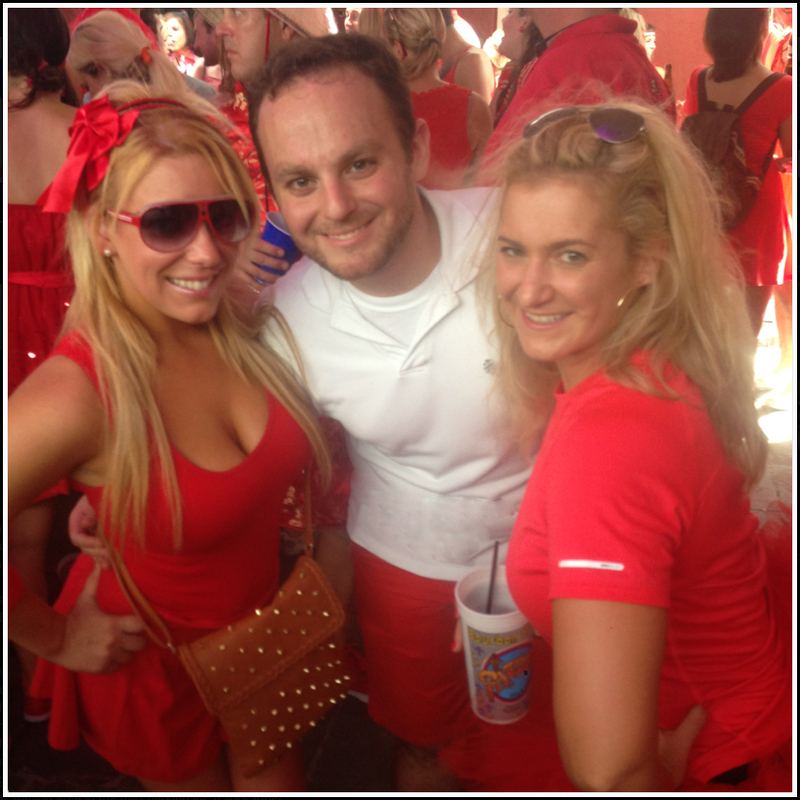 We picked up mimosa supplies at the Uptown Rouses, showered and changed in to red attire. I stopped short of wearing a dress, and will accept your gratitude for that in the comments below. 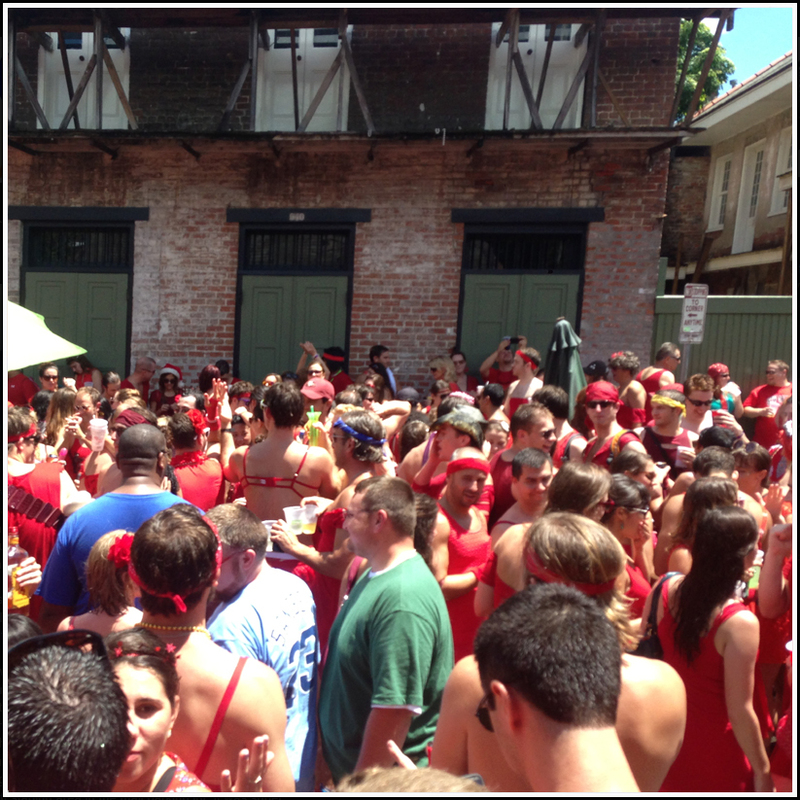 The size of the event was evident by the fact we had to park in the Bywater and walk to the Quarter. 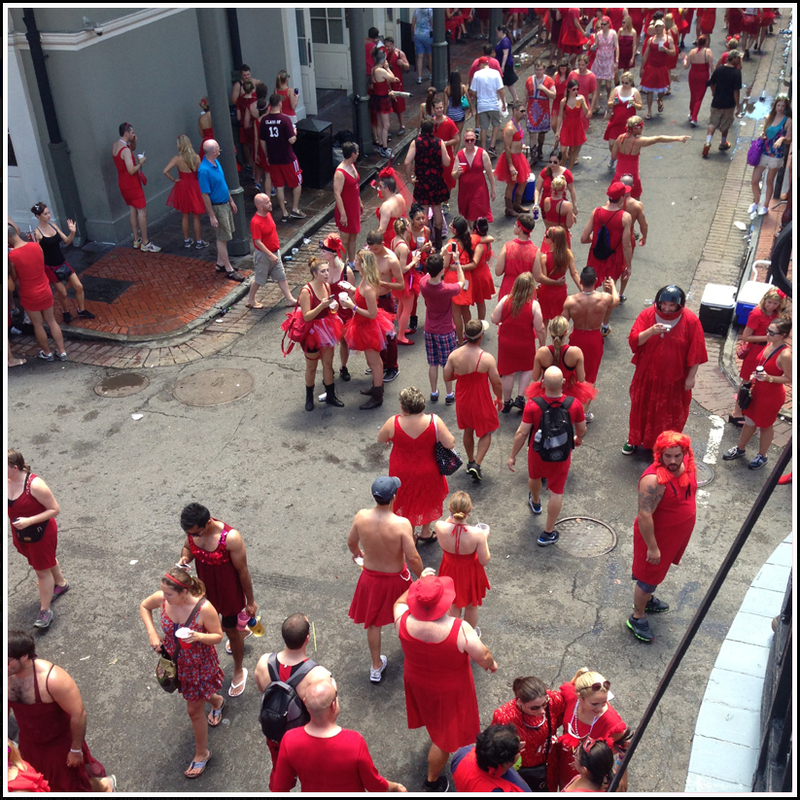 The participation has grown from just the people who pay the registration fee, and now includes the random bystander who dons a dress and ventures out for the party on Bourbon Street. Downtown was wall to wall red from sun-up to sun-down. 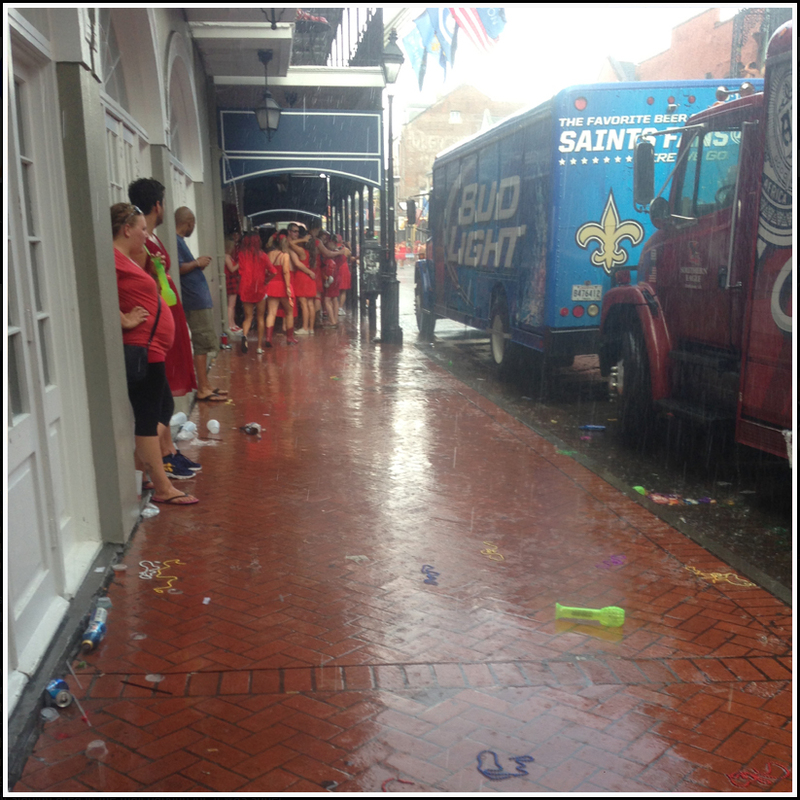 When I evacuated the scene at 5pm, the festivities were still in full swing and the afternoon showers weren't dampening anyone's spirits. 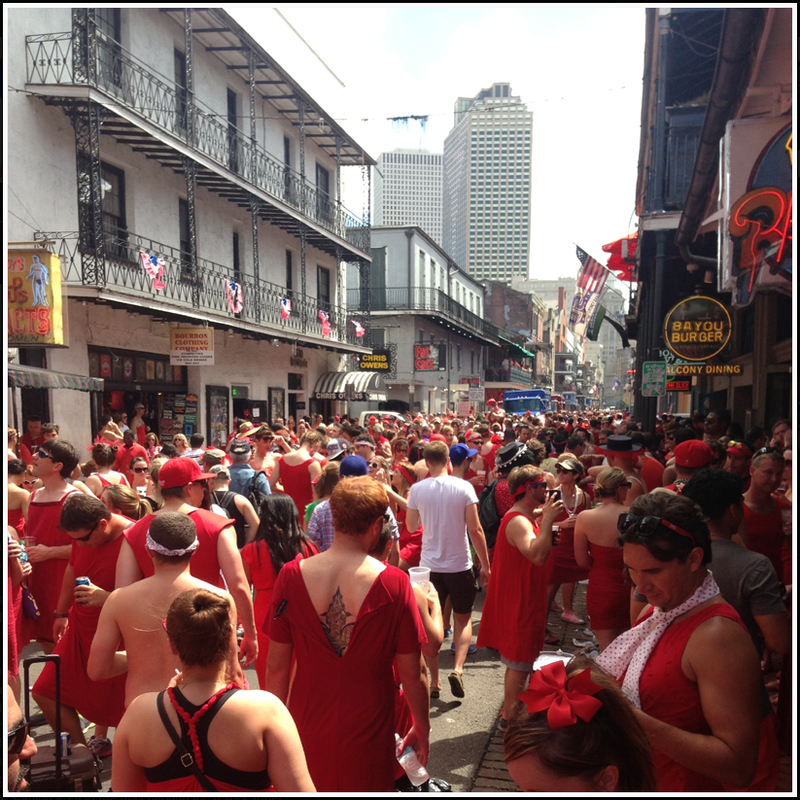 I was able to get a few pictures from the event as I walked from one end of Bourbon Street to the other, from Rampart to the River. Please feel free to post links to your photos in the comments below! When it comes to comfort over fashion, I'm a pro. Give me tennis shoes over my Cole Haan's any day. I'll consider borrowing your tutu next year, but I draw the line at a strappy off-the-back number. The tan lines would be ridiculous. And I love the picture of all 3 of us (even despite my frizzy hair)!! !